A global event that you may not know about takes place during ArtWeek Boston. 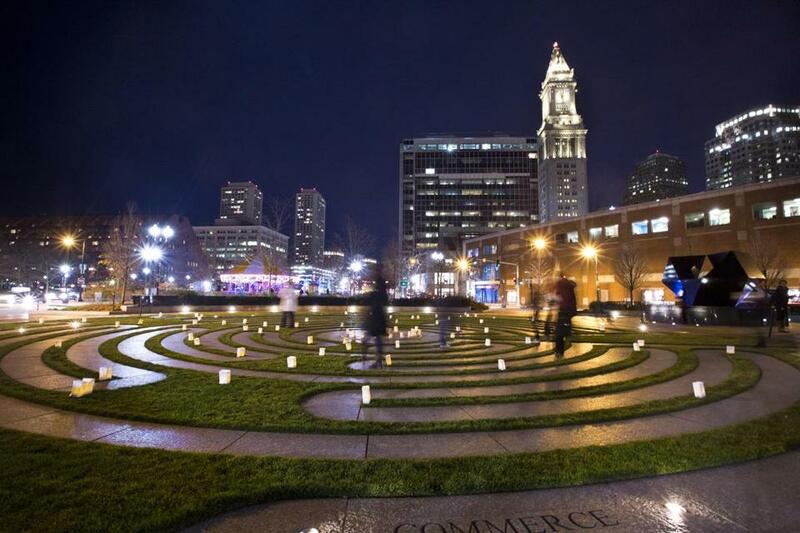 May 7 marks World Labyrinth Day and the Armenian Heritage Park on the Greenway is holding its “Walk as One at 1” (1 p.m. that is), with an instructional walkthrough for first timers beforehand. No, there won’t be a Minotaur in this labyrinth. The circular path is meant to evoke relaxation and introspection. Don Tellalian, the park’s architect and designer, and Beth Burnham Mace, president of the Labyrinth Guild of New England, told us a few things to know before you set off on this adventure. 1. A long and winding history Labyrinths have been around for thousands of years, and are notably found in Greco-Roman design and worked into the floors of medieval churches such as the Chartres Cathedral. The shape itself and the process of walking it is what’s most important. 2. Don’t confuse it with a maze The first thing that both experts expressed was that it is not a maze. A labyrinth is made up of a single path to the center with no forks, while a maze is meant to confuse with its dead ends. The pathway twists and turns within itself creating, most often, a circular shape and each level parallel to the center circle is called a circuit. The shape doesn’t have to exist as a concrete walkway in grass like the one in the Armenian Heritage Park, but it must hold to these rules. Labyrinths can even be drawn on large sheets and brought to spaces such as prisons to spread the benefit of walking them, Mace said. 3. A path to mediation What is so special about walking these paths? “A lot of people say it provides a moment of peace, a moment to reflect,” Mace said. It’s meant to be a meditation as you follow the path’s turns toward the center. On the Labyrinth Guild’s website it says that labyrinths are thought to enhance right brain activity. 4. How to walk Participating isn’t too complicated. You start at the mouth, and follow the path toward the center, then follow it back to the outside. But that’s just the physical part. Beyond that, Mace laid out a three-step meditation made famous by Lauren Artress, founder of the labyrinth-focused nonprofit Veriditas. The first step is to purge the mind of clutter upon walking the pathway into the center. The second step, upon reaching the end, is the moment of reflection on what has been cleared from the mind. The third step is to think about how you can communicate what you’ve learned to the outside world as you find your way out of the labyrinth. 5. What’s unique about this labyrinth? The style of the structure in the Armenian Heritage Park is most similar to the labyrinth in France’s Chartes Cathedral. People come from all over just to walk the pathway in the cathedral. Tellalian said that he designed this one with the Greco-Roman style in mind. The concept of the walk on this path is to mirror life itself in its twists and turns, but also to celebrate the constant and singular path.